In many ways it appears that we are recreating history but just in a much more modern society. 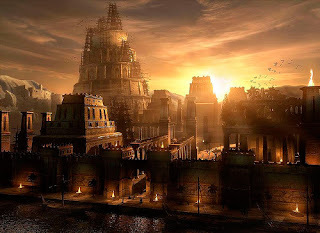 We have marveled at the achievements of ancient man. Today in the year 2014 there is much discussion on how the pyramids were actually built, we have found many megaliths from Egypt to Mexico, South America, North American and Europe that were cut in such exacting standards that we would have a hard (but not impossible) time duplicating these feats today! Was Ancient Egypt lit at night! For historians this is the stuff of nightmares. How do they deal with these anomalies? For the closed minded it’s a three stage process: Ignore, deny, debunk. Still, for all their efforts the museums of the world are full of artifacts and records that don’t fit. Some are hoaxes, some are mistakes but some are remarkable and deserve better investigation. Here are several popular examples of direct and indirect ancient technology that have only made into the fringe of the history books. Make no mistake that this information is not to diminish the efforts and achievements of mankind, on the contrary, mankind's earliest accomplishments were even more astounding then we ever expected. The question does beg, did early mankind have some source of knowledge that we are only beginning to understand today. If mankind did have some type of assistance, who, how and when did it happen. Just like some of these ancient anomalies, somethings just don't fit! The Antikythera Mechanism currently on display in the Hellenic Museum in Athens, Greece. This remarkable mechanical device that is often described as the World’s first analogue computer was retrieved by sponge divers off the coast of Antikythera in or around 1900AD. Scientists all agree that it is real and that it dates from some time during the 2nd century BC making it well over 2,000 years old. It comprises of a complex system of dials, gears and cogs of extraordinary precision. Experts agree that it represents a standard of production that would not be seen again until the rise of complex clocks and clockwork in the 18th century. After decades of research the current thinking is that it was used as an astronomy calculator to predict and measure the movement of the planets in relationship to the Sun, Earth and the Moon. Located approximately 450 kilometres south of Cairo in Egypt is the very ancient city-complex of Abydos. Believed by many to be one of the most important historical sites relating to ancient Egypt it is also the location of a set of carvings that have caused significant controversy amongst archaeologists and historians. Within the Temple of Seti the 1st (Seti I) you can find the outer Hypostyle Hall and on one of the lintels you can find a series of carvings that look very much like helicopters and futuristic space craft. The Helicopter is particularly recognizable and this has led to questions being raised about how this can possibly exist. Naturally, every UFO enthusiast or believer in a once technologically advanced Atlantean civilization has pointed to these images as proof of their theories.he Abydos carvings showing a helicopter and other futuristic Vehicles. Recently there has been some highly detailed and intelligent challenges to the theory that these images were simply the byproduct of re-carving. The first is that this was an important building and the use of plaster would have been anomalous. Instead, the Egyptians would have used a special sandstone filler that they were well experienced in making that was much more robust. The re-carving theory is also coming under scrutiny and recent practical experiments cannot duplicate the effect described by the experts. Lastly, some researchers believe that the layout of the items has a strong and accurate relationship with the Golden Section concept. Their point becomes quite interesting when they say that the coincidence that original carvings could be covered and re-carved and then still align to a set of perfect measurements is simply unbelievable. Either way there is something persistent about this mystery and the debate will continue. Did the Egyptians whiz around in strange futuristic craft or did they just witness something they couldn’t explain and carve it in stone as a record. Perhaps time will tell but it hasn’t so far. The two sides of the ancient Phaistos Disk showing the undecipherable symbols. On display in the Heraklion Museum in Crete. This unusual discovery was made in 1908 in an underground temple depository linked to the ancient Minoan palace site of Phaistos, on the island of Crete. Archaeologist Luigi Pernier removed the disk from a layer of black earth which has allowed the artifact to be contextually dated to between 1850 BC and 1600 BC. Made from fired clay, the disk is approximately 15cm in diameter and a centimeter thick with symbols imprinted on both sides. The meaning of the writing has never been understood in a way that is acceptable to mainstream archaeologists or students of ancient languages. It is unusual for a number of reasons. Most importantly, it is one of a kind and no other item (with perhaps the exception of the Arkalochori Axe) bears any similar script. The writing itself has been created by pressing preformed characters into the soft clay which would make this the earliest recorded use of movable type. It is important to note that it was found close to a second tablet with standard writing from this period know as Linear A. Although there has been some controversy over the authenticity of the Disk it is widely believed to be genuine and is on display in the Heraklion Museum of Crete, Greece. Numerous theories have been suggested and range from the Phaistos Disk being a prayer token to a message from ancient aliens. A recent and quite plausible theory is that it was a coded message that was read and then disposed of by dropping it into the pits. If this is the case it would represent one of the earliest forms of sophisticated encryption. One of the reliefs depicting the Dendera Lights. The other panels are even more impressive but not copyright free at this time. Discovered in the Hathor Temple, Dendera, Egypt. There are three stone reliefs (carvings) that can be viewed in the Hathor Temple section of the Dendera Archaeological complex which is located on the banks of the Nile approximately 300 miles south of Cairo, Egypt. Some researchers’ claim that these images depict an ancient form of electrical technology or lighting system. Mainstream Egyptologists strongly dispute that there is anything unusual about the carvings and claim that they merely represent aspects of Egyptian mythology and actual show the birthing of a snake from a lotus flower. However, a close look at the picture does raise some interesting points and questions. The lotus flower is easily recognisable but the beam (or bulb) is unusual. The stem of the lotus is unusually long and cable-like – and does appear to connect to a device that is similar to the ancient Baghdad Battery. The pillar does look remarkably like a modern electrical insulator of the type that is used on national power-lines and from this device two arms reach up to support the bulb or beam. The snake is a representation of power and energy and leaves the lotus in a manner very similar to the elongated filaments associated with industrial lighting. 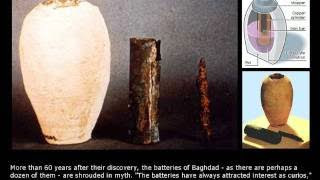 There have been many claims used to try and prove that these objects were real and these claims have subsequently been debunked. This criticism has then been associated with the carvings too. Those opposed to the electrical lighting theory have often argued that if these existed there would have been archaeological artifacts found to corroborate pictures. They claim that no such artifacts have been found. This is a fallacious argument. It depends on the idea that something can’t exist because humanity either hasn’t found it or can’t understand it. This is a subject worth exploring in much more detail.